The Pharma and Health industry plays a pivotal role in our society, companies spend billions in drug research, however, the industry is still yet to experience the revolution that communications and media technology brought to our daily life. Gone are the days when pharma companies were just selling the drugs. With more competitions, a revolution in healthcare, and an increase in general public understanding of health, pharma companies are trying hard to keep up with the changing technologies in the pharma. Pharma companies recognise the need for serious digital transformation for gaining competitive advantage. Companies like GSK and Novartis have hired Chief Digital Officers from retail giants like Walmart and Sainsbury: move which illustrates how the role has become one of the most important in pharma. In the next few years, drugs will be paired with apps and digital services to deliver complete health solutions to patients and improve outcomes. In order to help heart failure patients connect and share stories, Novartis launched the first dedicated social network for Heart Failure Patients along with its Entresto drug. It also offers ’emotional support platforms’ staffed by health researchers and clinicians. Novartis also has a Heart Partner app, which launched last November. The app helps heart failure patients track vital signs and physical activity, store important health information, and coordinate care with physicians and others. Another way of Pharma companies going digital is to partner with digital healthcare startups. This way not only will they add more services and streams of revenues, attract talent but also strengthen their market position as an innovator. The healthcare processes are often long, complex and involve many stakeholders and bureaucracy. From the healthcare provider’s point of view, the visit, diagnosis, treatment selection and condition management stages are all points where the patient could be more involved better updated. For example, Medtech company AliveCor has built a smartphone-based electrocardiogram. Patients take their own readings, which can be reviewed by a remote expert without the cost and delay associated with seeing a specialist. Developing technologies like Artificial Intelligence and voice technology would further help patients and take some of the work off from the shoulders of physicians and doctors. Too often, private healthcare professionals or providers must meet with multiple reps from the same pharma company. This is understandable given the expertise needed within each specialism, but from a customer point of view, busy healthcare professionals may be left wanting a more flexible solution. Increasingly, pharma companies are using digital technology to provide this. CRM systems can achieve a single customer view and digital communication channels can provide access to samples and resources. Mobile apps could simplify the sales process and bring more revenue by allowing reps to focus on selling and communication. 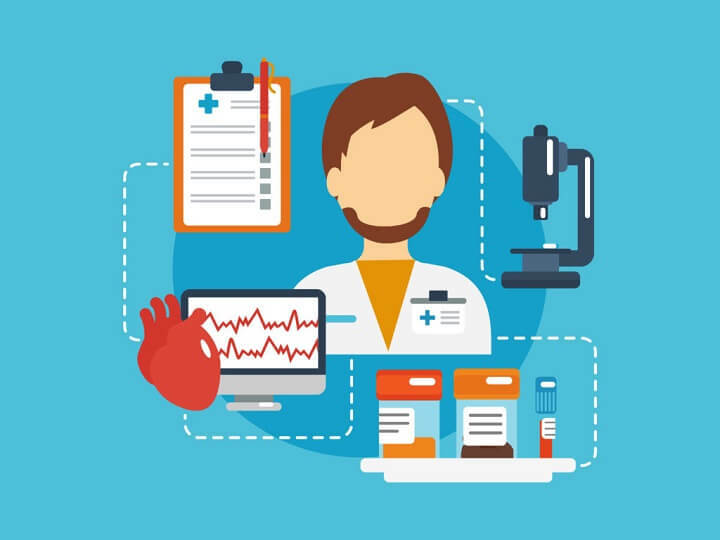 The world of digital technologies certainly hides a lot of opportunities for pharma companies and health care providers and they can not afford to treat it as secondary to the traditional way of doing things.